Defence Minister Harjit Sajjan has promised to redouble efforts to prevent suicide in the Canadian Forces after new figures showed more than a dozen members of the military took their own lives last year. The deaths coincided with new services and supports aimed at preventing such tragedies, underlining the complexity of the challenge facing the military and government. Fifteen Canadian Forces members killed themselves in 2018, according to the Department of National Defence. That was one fewer than the previous year and represented the fourth year in a row in which the number of military suicides declined since a rash of suicides in 2013 cast a spotlight on the issue. It nonetheless fell short of a breakthrough after the National Defence and Veterans Affairs Canada unveiled a new suicide-prevention strategy in late 2017. The strategy included promises to improve the services and support available to current military members and veterans in the hopes of increasing awareness and reducing the number of suicides in both populations. Defence Department spokesman Derek Abma said there has been “an impressive amount of work” done to better support the mental health of military members and their families since the strategy was launched. That includes adding more medical staff, training personnel on how to respond if someone shows warning signs for suicide and introducing new measures to ease the transition to civilian life for those leaving the Forces. Sajjan, however, admitted in a statement on Wednesday that “we must always strive to do better,” adding: “Every time we lose a member of our Canadian Armed Forces to suicide, it is felt by us all. One suicide is too many. Of the 15 military personnel who died by suicide last year, 13 were full-time members while the other two were reservists. The figures do not say how many were men or women. While the Canadian Forces for years resisted suggestions service members were more at risk of suicide than the general public, a landmark study from Veterans Affairs Canada last year suggested the opposite. The results, based on a comprehensive review of records from 1976 to 2012, showed that the risk of suicide among male veterans of all ages was 36 per cent higher than in men who had never served in the Canadian military. At the same time, more than 155 active service members have taken their own lives since 2010. That nearly equals the 158 killed while serving in Afghanistan from 2001 to 2014. 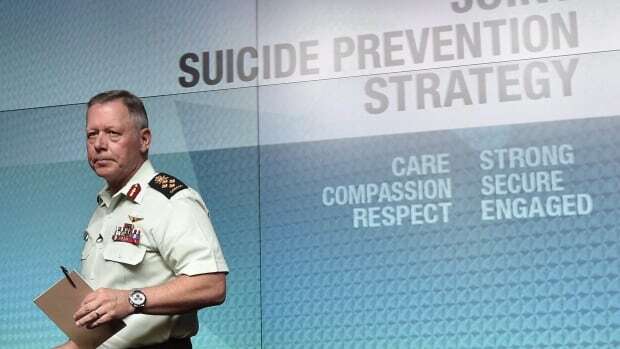 National Defence’s suicide-prevention strategy was endorsed by a variety of groups, including the Canadian Psychological Association, the Canadian Mental Health Association and the Mood Disorders Society of Canada. Some veterans’ groups and advocates, however, remained unsure at the time about how it would be implemented.